With every new scandal, twist and turn of the state broadcaster comes further evidence that this organisation is corrupt, wasteful and does not serve the interests of those who pay for it. The most recent controversy was the sacking of Jeremy Clarkson after a bizarrely described ‘fracas’ between himself and an assistant producer. Over ONE MILLION people signed the @GuidoFawkes #BringBackClarkson petition to reinstate Clarkson. For the record I did not sign this petition. I simply do not see a role for a state propaganda machine in 2015 or beyond. Certainly I do not support that you should hand over your hard earned money on threat of prison for state permission to watch mainstream entertainment on a dying technological medium. One thing is absolutely clear from the Clarkson sacking fiasco: the viewer is way down the pecking order as far as the BBC top brass is concerned. Top Gear was immediately pulled from the schedules on news of the ‘fracas’. This was well before any formal finding was made against Clarkson which shows the contempt the BBC Top Brass had for the fans. I of course recognise that the BBC Top Gear show with Clarkson as the lead host was immensely popular with its fans. 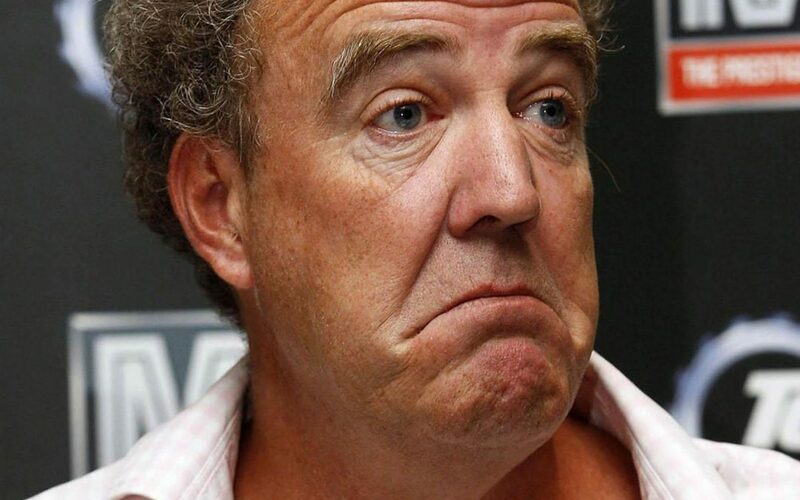 I read many responses on twitter that questioned ‘Why am I paying a licence fee if Top Gear is taken off the air’. Unfortunately, the TV Licence does not operate as a subscription service much as BBC would like you to think it does. Even if the BBC did not exist unless the TV Licence legislation was repealed, you would still have to pay the TV Licence fee to watch or record ANY live TV. As such, the TV Licence operates as a TAX. As a tax, the TV Licence is not a payment for any BBC service. Quite simply, the TV Licence has survived at least half a century beyond its use-by date. There is no technological reason for it to exist today and it is merely an accident of history that it remains. So if you want to make the best protest you can against the BBC, the only way to do it is to STOP FUNDING THEM. You can do this legally and it takes only minutes to sort out. Rule 3. At all times NEVER ADMIT to any TV Licensing representative that you have watched or recorded ANY LIVE TV on ANY device for ANY reason. Also NEVER ADMIT TO WATCHING ANY INTERNET STREAMING BROADCAST as it is also shown on TV. This can be SKY NEWS or AL-JAZZERRA originally beamed from Doha. Note this is not restricted to just BBC as some mistakenly believe. Only ever say you watch DVD’s/Netflix etc and Catch-Up TV only. 1. You must, absolutely must, CANCEL any TV licence you have. TV Licensing (aka Capita) assume (wrongly) you still need one if you don’t inform them you are cancelling your TV Licence. You can do this by email to support@tvlicensing.co.uk (Note they take a long time to respond: up to a week. Recent reports are as many as 1000 people a day are cancelling TV Licences. Be patient and do not pre-empt additional unnecessary communication with the Capita contractor). 2. Cancel any direct debits you have to TV Licensing. 3. Optionally you can declare a “No Licence Needed”. Ideally you should have no further contact with any TV Licensing representative (Capita). The link to the “No Licence Needed” declaration is here. 1. TV Licensing have no right of access to your property whatsoever except by a search warrant. 2. There is no legal obligation for you to have contact with them or provide them with any information except under a search warrant to provide ‘reasonable assistance’ to enable them to do their test of any TV receiving equipment found. The sad truth is TV Licensing is run as a high-pressure commission-based sales operation. It is a dirty business. Invariably, TV Licensing only convict on evidence you provide by way of an admission. Unless the TV is visibly on in the front room, there is no reason for you to provide them with any evidence against yourself whatsoever. Oh, the ‘TV detector’ is a crock: It has NEVER been used as evidence for any court conviction of watching live TV. It is only used to gather ‘evidence’ for a search warrant and even that is done on the shakiest of scientific basis. I said at the outset that time for you to make a lawful protest against the BBC was running out. Indeed it is. The influential Department of Culture Media and Sport Select Commitee’s preferred future funding model for the BBC is to introduce a flat household poll tax to be added to everyone’s council tax regardless of whether they watch any BBC service or TV or radio at all. If this was introduced, there would be virtually NO escape from paying this charge. The enormity of this proposal is truly staggering given the litany of scandal that has come out about the BBC. But for right now the choice is still yours. Take back your choice and your money. There has never been a better time to cancel your TV Licence. Do it today! Silence Is Golden: Never a truer word spoken when it comes to TV Licensing, the less communication with them, the better. Never sign anything either as a signature on the wrong piece of paper will condemn you. I don’t watch TV, I don’t even own a TV. I don’t bother with catch up TV either. I quite happily live without it and have always found ways to keep myself occupied. If I can, anyone can. Another point worth mentioning particularly in regard to making allegations of licence evasion a civil. rather than a criminal matter. there are fewer constraints on the penalties that can be levied against a persion found”liable” in addition the rules of evidence are less strict in comparison to criminal law.. in a civil case the BBC will find itself in the very powerfull p osition of being able to sue for “potential loss of revenue” and will not need to provide concrete evidence to suport its claim. it will be enough to cite “substantial probability” even worse, under the rules of hearsay evidence it is conceivable that a case can be braught against an individual on the basis that joe bloggs next door” swears he saw jane watching such and such” this may well be an over simplification of the differences between criminal v civil matters but civil litigation will be open to far greater abuse by the BBC and its cohorts. Hi. I bought and am hosting http://www.banthebbc.co.uk – would you like it? Your site is so much better than what I was going to do! Hi Darren – I really only do this as a hobby so I’m ok with the wordpress free blog. Are you hosting it on your home server or are you paying for hosting? I have business hosting on a number of domains I own so it’s practically free to host it. You’re welcome to use it. No charge. And it’s a direct domain, so no blog address. It’ll be here for 2 years if you want to up the ante… thanks. Any truth in this article? Tony was given a conditional discharge and ordered to pay prosecution costs. It wasn’t a ‘win’ as such. The offence of TV Licence evasion is ‘strict liability’ (high court ruling) which means that if you admit to watching live TV without a licence there is no legal defence.